"Improvement is not only about intention. It’s about action." Starting his career in sports at an early age, João has always been passionate about sports. João was a professional football player for many years, playing at the highest levels and representing his country. Determined to keep football as part of his life, he enrolled in a Sports Science degree and went on to follow his dream of working in sports and fitness, as a personal trainer and also as a football coach. Dedicated to helping people achieve their health and fitness goals, João was drawn to Pilates though its focus on body posture, awareness and the establishing of effective, safe movement patterns. 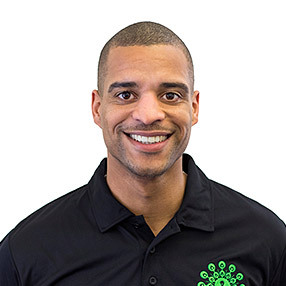 With a postgraduate certificate in rehabilitation and injury prevention, João’s motivation comes from his ability to guide his clients to help them reach their physical goals consciously and safely. When not at Ten or working out, João loves to travel, hang out with friends or watch a good movie.